You wouldn’t want to spend the night at some cramped up place only headbanging when you can own the space and enjoy the music with your gang. While you’re at it, grab some finger licking hot smacking delicious food, chilled booze at MRP, and a very casual chill scene. 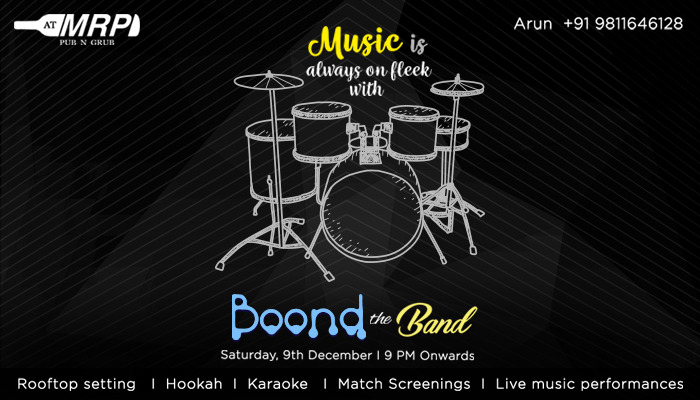 Walk in at #ATMRP and you’re #Boond to have a good time!